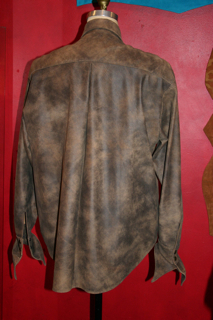 This is a very lightweight distressed leather, unlined shirt, with metal snap closure. 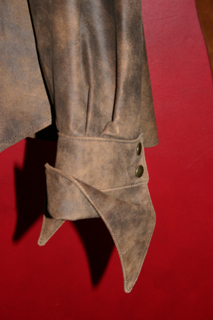 the cuffs and collar have an exaggerated point for a roll-and-roll look. 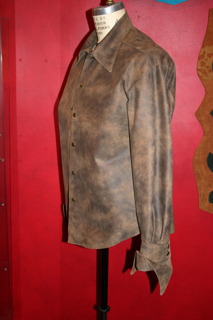 This piece is by Custom Order and can be done in other colors and textures.